Do we ever have a sweet treat for you! 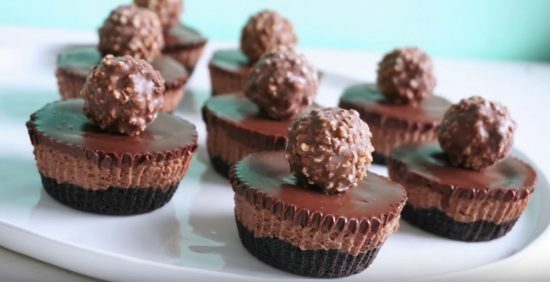 These No Bake Mini Nutella Cheesecakes are decadent and delicious according to the Creator and you are guaranteed to love them. We’re so excited to have Courtney Budzyn on board as a new contributor at The WHOot. She is a foodie from way back. Her Slow Cooker Honey Garlic Chicken & Veggies was so well received that today we introduce you to her No Bake Mini Nutella Cheesecakes Recipe. To say they are amazing is an understatement! Today we are headed down sweet street! 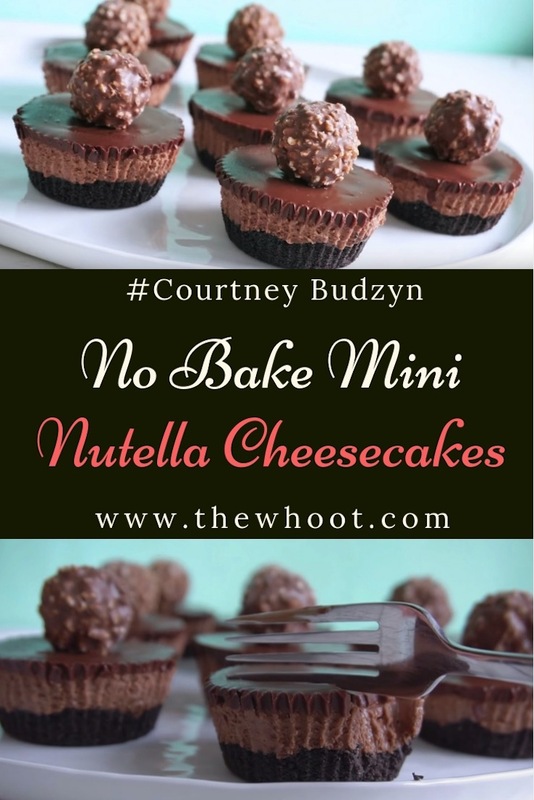 These No Bake Mini Nutella Cheesecakes are the ultimate fix for any dessert diehard and Courtney has this to say about her recipe. Courtney is truly passionate about her No-Bake Mini Nutella Cheesecakes Recipe and you will be too. We can’t wait to whip them up ourselves. We have outlined her recipe for you below but we highly recommend that you spend a few minutes watching her tips and kitchen tricks. This way, you will achieve the best possible result. Click Play above to view ^ and subscribe to Courtney’s channel on youtube here.